August | 2015 | Dude, Where's My Pancreas? 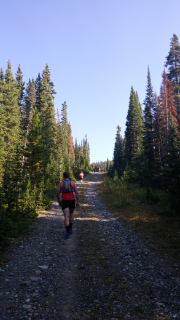 This past Saturday, Steve and I ran the Breck Crest Mountain Marathon (http://www.mavsports.com/events/?event-categories=breck-crest-2015 ), a challenging high altitude mountain trail race. 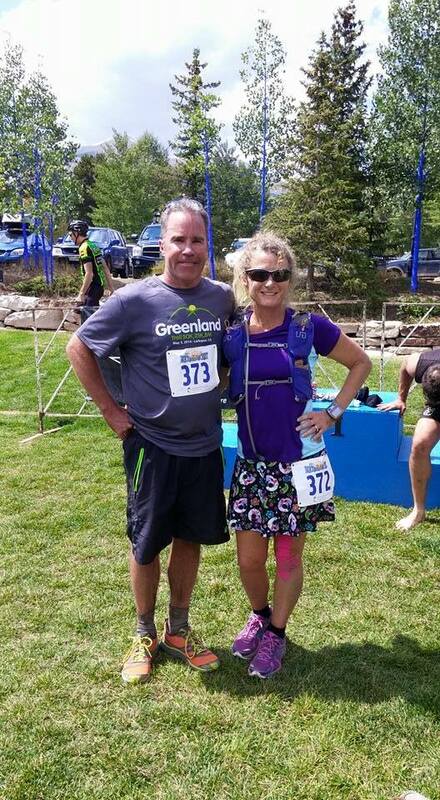 We last ran the Breck Crest Mountain Marathon in 2007. At that time, I had just run Pikes Peak Marathon two weeks prior and had a bit of a groin injury. Somewhere around mile 15 or 16, Steve severely sprained his ankle. We finished the race, but basically limped in to the finish. 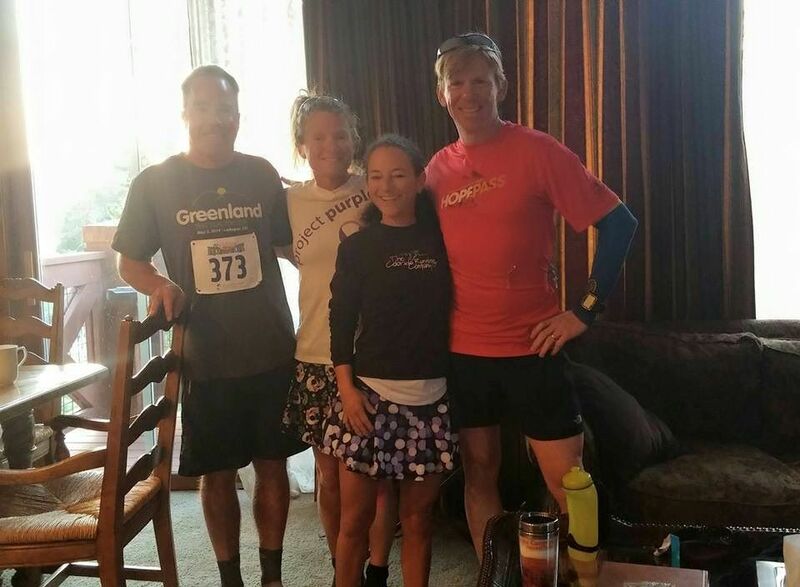 In fact, we were so late to the finish that year, that our family had given up on us and gone back to the condo we had rented. Nevertheless, the beauty of the course had left quite an impression on Steve and me and we had always wanted to go back and run it again. This year, our friends Debby and John had invited us to join them on race weekend. Debby was going to run the half-marathon and John the full. We thought it would be a great way to get away for a couple of days, run a race and enjoy some time with our family and friends. Since Steve had been training on Pikes Peak most of the summer, I knew he would do fine at altitude. I, on the other hand, had not had time to get up very high in the mountains. I knew I would suffer pretty much right from the start of the race. 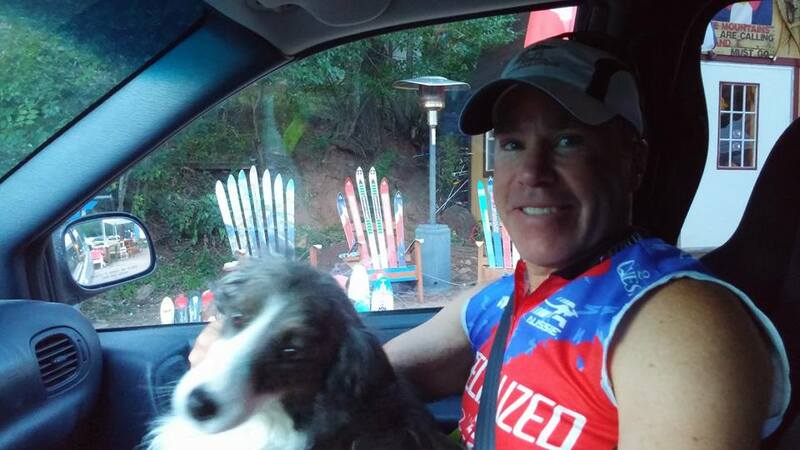 I just hoped that Steve would be tired still from his Pikes Peak Double so that we could comfortably run together. The Breck Crest starts at 9500 feet elevation in downtown Breckenridge. Pretty much immediately, the runners head up into the ski hills and surrounding trails. 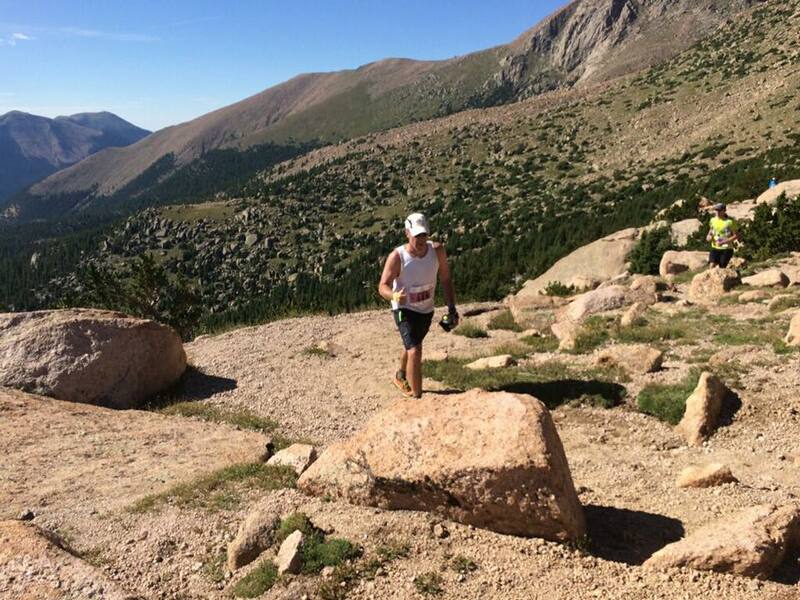 Runners climb about 3000 feet over the first several miles, topping out at 12,500 feet of elevation. The half-marathoners drop back down into town at this point, while the marathoners drop down to around 11,000 feet before heading back up to 12,500. 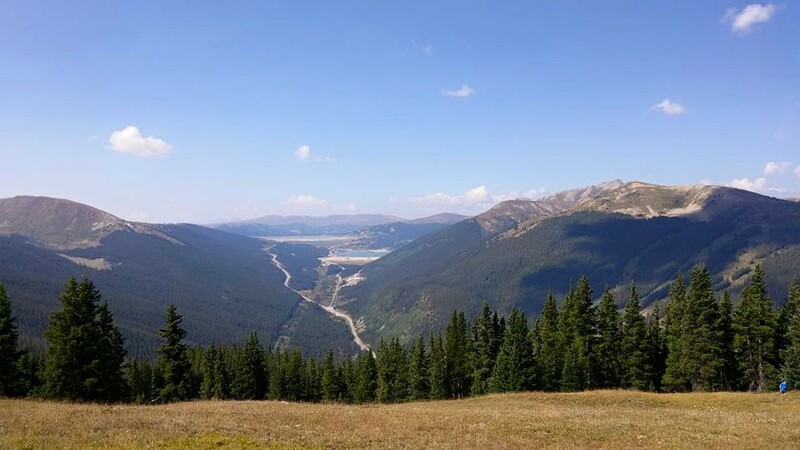 From there, the course follows the “crest” over the ski hills of Breck. Runners stay up at 12,000 feet or above until mile 12 when the course drops back down, rolling between 10,000 and 10,500 for several miles. The final mile brings runners back to downtown Breckenridge. The trail is often rocky, covered in roots and quite technical. It is also spectacularly beautiful.The race course is actually short of a full marathon. My garmin read 24 miles, Steve’s read 23.5 and John’s read 23.7. The first time I signed up for this race, I was bothered by the fact that it was not a “true” marathon. After having run this race twice now, the hills and the high altitude provide enough of a challenge that I never feel like I got cheated out of miles. Our family loaded up the car and drove up to Breckenridge Friday evening. We stopped by race headquarters at the Vertical Runner store in Breckenridge. This is a lovely running store, and any runner visiting the area should check it out. We chatted with RD Jeff Westcott and picked up our numbers. Vertical Runner was providing free pasta for racers and their family. This gave the race an extra nice and homey feel. It was great way to start the weekend. The next morning, Peyton snapped a quick picture of us before we headed out on our adventure. We headed down and lined up at the race start in downtown Breckenridge. 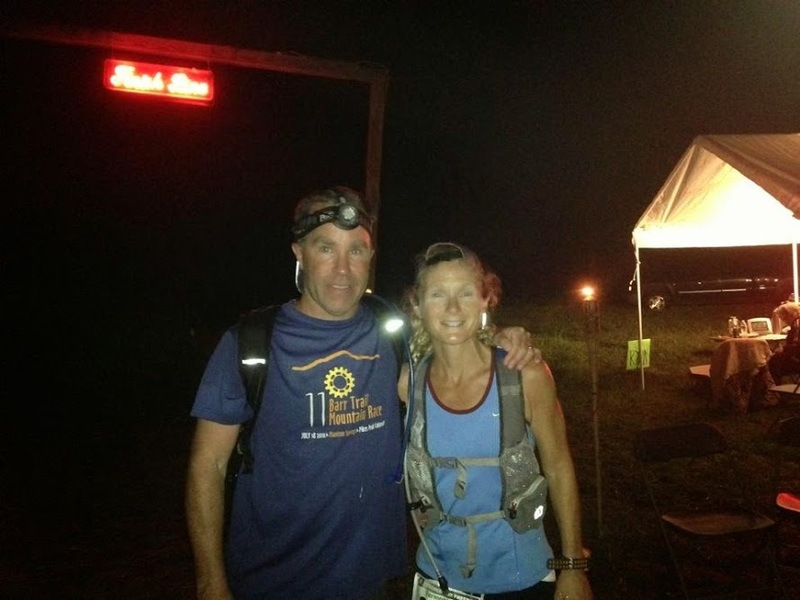 We saw Steve’s co-worker Chris, who had driven up that morning for his first attempt at a mountain trail race. 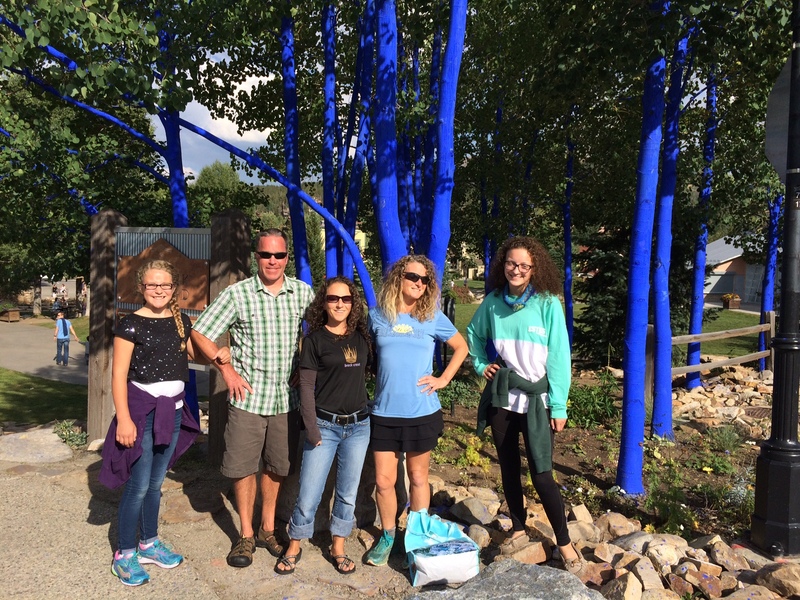 We also were pleasantly surprised to see Steve’s childhood friend, Dave, who lives in Silverthorne. Dave had ridden his bike over to see us off at the race start. We chatted for a few moments and then were on our way. My goals for this race were to 1) spend time with Steve, 2) enjoy the views and 3) get in a good training run for races coming up later in the season. I knew I was not trained for the altitude, so I figured that for the first time in my life, I would take pictures on the course and just generally have a good time. The race course gains about 3000 feet over the first six miles. It is a very runnable course in the early miles. My main goal in those early miles was to keep my heart rate and breathing under control. This was not too much of an issue. If I felt the hills and altitude getting to me, I just back off the pace and hiked until I felt recovered. Steve and I ran together, chatting throughout the early miles. 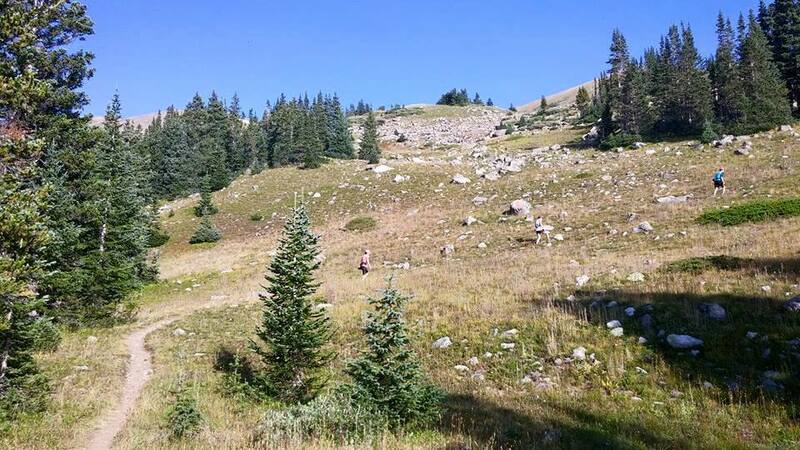 As we reached an elevation of around 11,000 feet, we had to switch over to power hiking. The trail grows very steep in this area, as you head up to tree line. Despite our slower pace, we managed to pass a few runners during this section. More hiking as we near a snow field and the top of the first big climb. 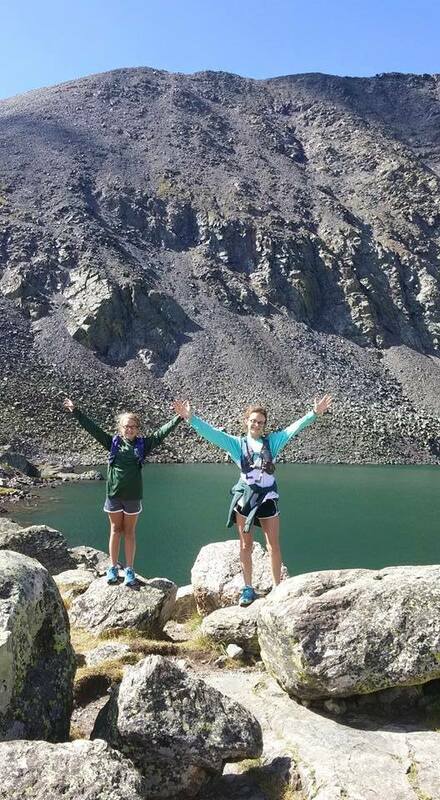 By around mile 6, we reached 12,500 feet of elevation. We chatted off and on with Josh and John, runners we had just met out on the course. The course rolls for a bit and then eventually turns into a quad-busting steep downhill. We ran back down to about 11,000 feet between miles 9 and 10. 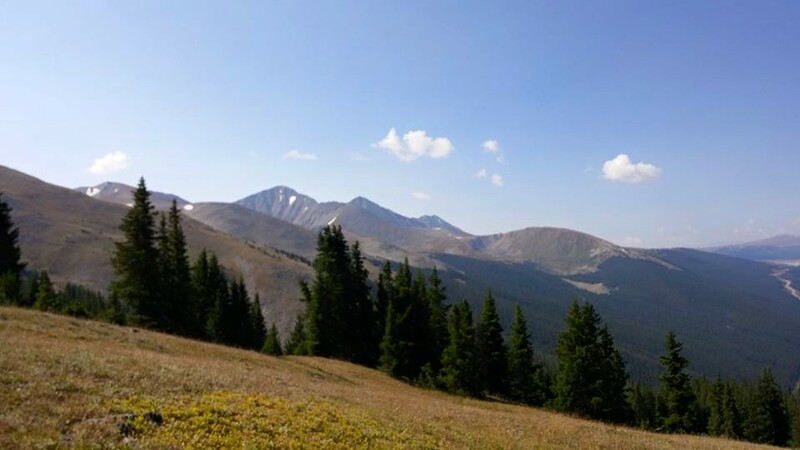 Then, we power-hiked back up to an elevation of 12,500+ feet, peaking at mile 12. At this point, we ran up above treeline for a ways. The views from the crest are spectacular. As we headed back down below treeline, we hit more screaming downhills. I knew we still had a long way to go and tried not to burn myself out. The trail is extremely rocky and root-filled through this downhill, so Steve and I were both concentrating on making it down without getting hurt. Finally, around mile 16 we made it back down below 11,000 feet. At mile 17, I said to Steve, “I think it is time to start racing now!” Steve replied with an incredulous, “What? 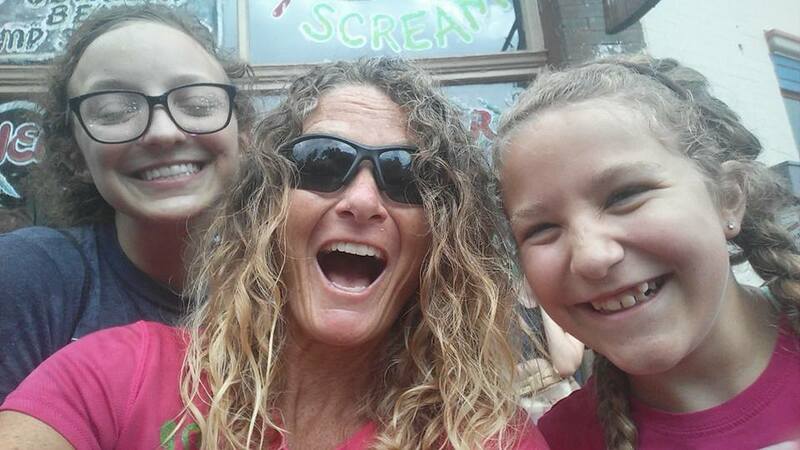 !” There were not too many other marathoners, as most people seem to choose to run the half, but I set about trying to pick off as many runners as I could from mile 17 to the finish. I was really enjoying myself at this point until we had a couple of unfortunate incidents with mountain bikers. The vast majority of mountain bikers were so polite and accommodating of those of us who were running. However, we had a couple who literally ran me off the trail. I will spare most of the details, but because mountain bikers were on our tails riding their brakes, I was very distracted. I had already twisted my ankle getting out of own cyclist’s way and now as I listened to continuous squealing brakes, I feared this person was going to run me over. I tried to move out of his way and I ended up hitting a rock and flying off the side of the trail. I would have rolled down a large embankment had I not fallen directly into a tree. I am a little banged and bruised from hitting the tree so hard, but the tree saved me from far worse injuries. Once I found my sunglasses, I dusted myself off and Steve and I continued on our way. In an instant, I went from having a great time to wishing I had not started the race. I had to mentally talk myself through this rough patch. I could not allow some inconsiderate people to take away from the fun that I was experiencing. I had to pull myself out of the bad space I was going into mentally. I had come out to have fun with my husband, and I could not let anyone take that away from me. We ran along as the course rolled between 10,000 and 10,500 feet for several miles. Finally, we descended back into town. We wound our way through the streets of Breckenridge, not exactly knowing how the race would finish up. We became extremely excited when we eventually saw our daughters waiting for us. We knew we must be right around the corner from the finish line. We crossed the finish in 5 hours and 55 minutes. We did not break any speed records, but we improved upon our 2007 time by an hour and neither of us was seriously injured. Steve and I started together and finished together. We had fun. We got in some beautiful miles. We achieved everything we had set out to do. Our family at the finish line. The girls got to see us finish! With Debby, who had finished the half-marathon hours earlier. John had finished about 15-16 minutes before us. Steve’s co-worker had finished in 4:46, a time that I cannot even fathom on that course. Colorado Springs elite runner Joseph Gray finished in 3 hours and 5 minutes. He is a super nice and humble guy who is a complete freak of nature. Can’t wait to see what he does next! The race finish line had an amazing spread of food from local vendors, which was a very nice treat after a long and difficult run. I love this race. 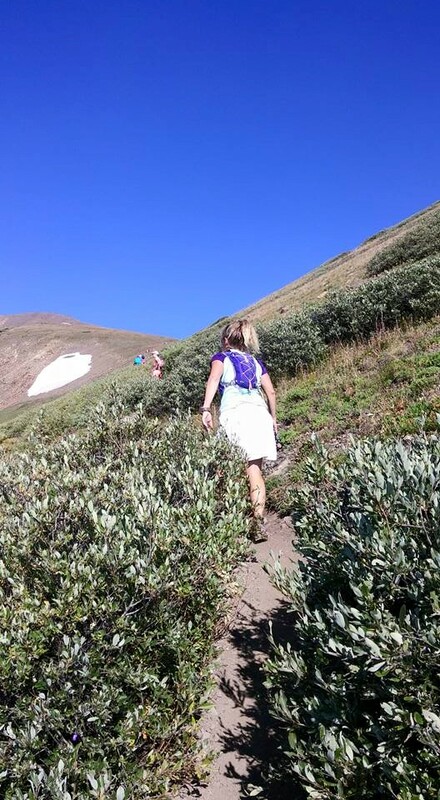 It is everything a Colorado mountain race should be. It has that nice small, low-key feel. The course is beautiful, breath-taking and challenging. 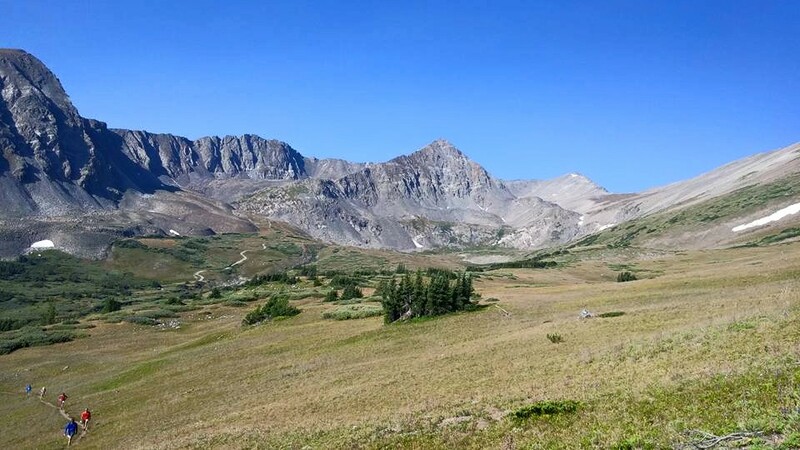 Despite the high-altitude profile, much of the course is runnable, which I love. The post-race festivities are fun and the food is great. I really like this event and am sure we will be back. After the race, Debby, John, Dave and our family went out for a bite to eat. We enjoyed spending the evening chatting with our friends away from the distractions of our normal lives. 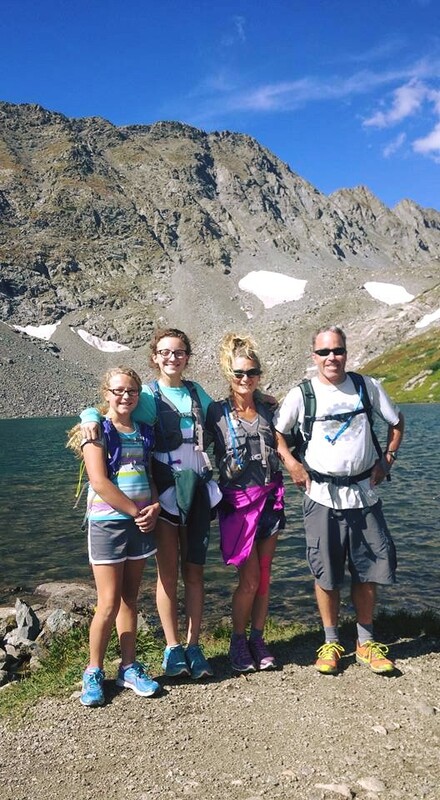 Since the purpose of this weekend was to spend a little time bonding amid the chaos of the school year, our family opted to go for a hike on Sunday. We hiked up to Mohawk Lakes. We had done this hike last year in July, just about a month after I had finished chemotherapy for pancreatic cancer. It is amazing how much easier it was to hike this now that the chemo is fully out of my system! We really enjoyed the beauty of the hike. It was the perfect way to finish off the weekend. 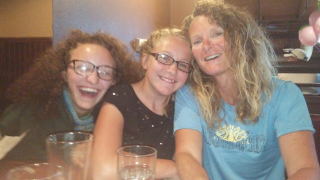 As busy as we are and as tired as I get from spending a weekend out-of-town, it was much-needed time to reconnect with my kids and my husband. It felt great to get away from the distractions of every day life, if even only for 48 hours. All in all, this was a wonderful weekend. Mountain therapy is something I think we all needed. Finally, please check out the September issue of Ultrarunning Magazine. John Medinger wrote a lovely article about my pancreatic cancer experience and my Bryce 100 journey. 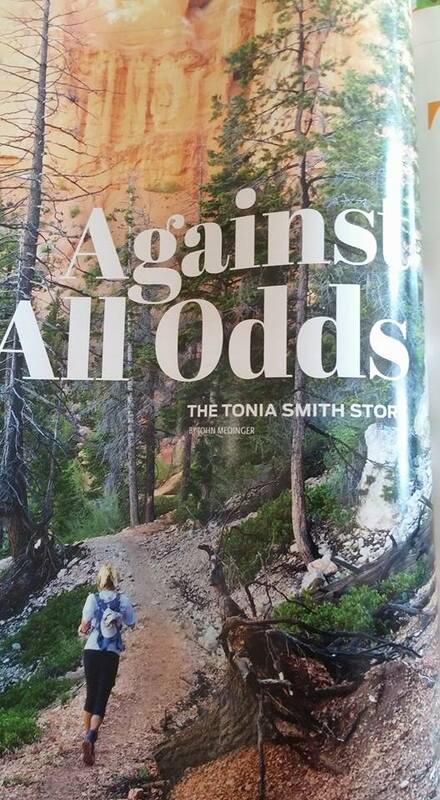 I am greatly indebted to John and Ultrarunning Magazine for sharing my story. My Husband is a Pikes Peak Doubler! Want to improve your overall happiness and satisfaction in life? Truly celebrate someone else’s success. I cannot remember exactly when he started talking about it, but it was somewhere shortly after we met. My husband wanted to run the Pikes Peak Double. This consists of two races that take place over the same weekend. 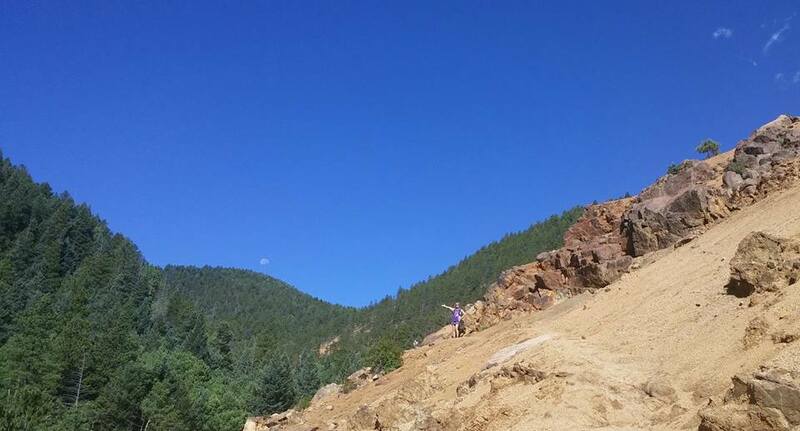 On Saturday, you run 13.1 miles to the top of Pikes Peak, which has an elevation of 14,115 feet. 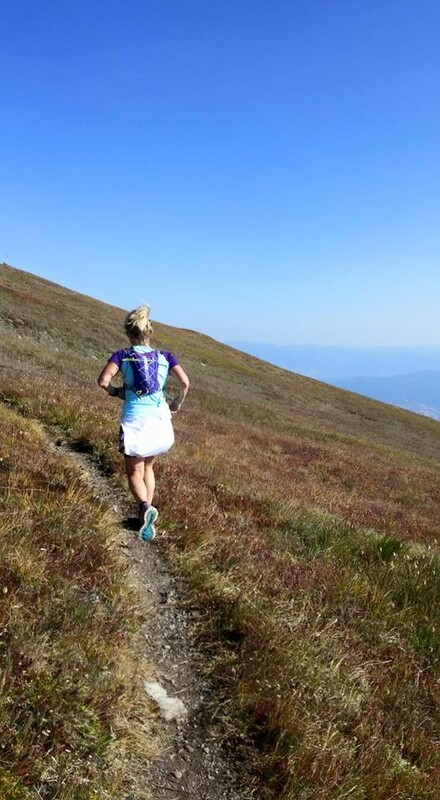 On Sunday, you run a full marathon up and then back down the mountain. 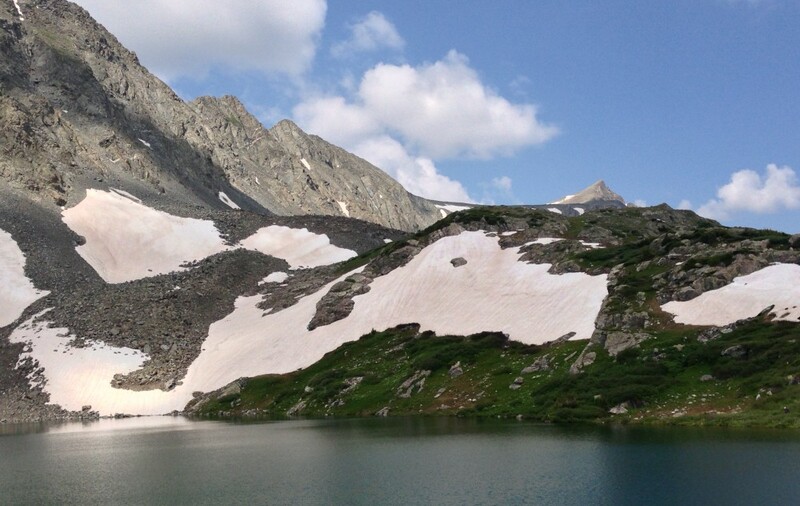 The amount of available oxygen at 14,000+ feet is about one-third of what it is at sea level. To give you an idea of how difficult these races are, the rule of thumb for the Ascent is to take your road marathon time and add 30 minutes. These are not races for the faint of heart. 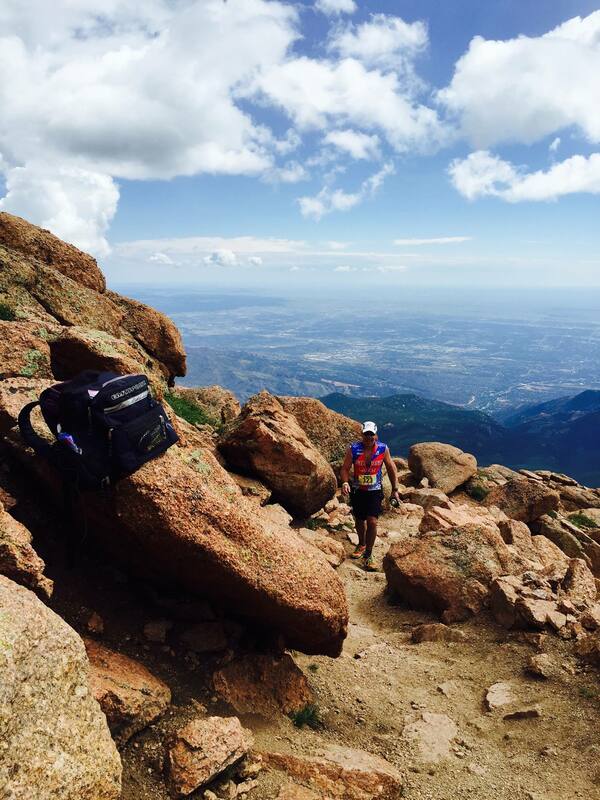 In the Pikes Peak region, the Pikes Peak Ascent and Marathon are a big deal. On race day every year, nearly all of my running friends are lined up at their computers waiting for registration to open. For many people in this area, their entire year of training revolves around preparation for these two races. Many of the running posts I saw over the summer consisted of friends of mine at various places on the mountain. The races are an annual pilgrimage for most of my local friends who run. A few brave souls take on the double, doing both events in the same weekend. Steve and I have both run these races before. I have done one or the other five times, but never both in the same weekend. Steve is now up to a total of ten finishes. He has talked about doubling for years. As a couple where both of us runs, works and raises a family, we have found getting in adequate training to be difficult. It takes time for us to drive down to the mountain and then spend the entire day running up and down. When our kids were little, we had to either hire a baby sitter or switch off days. If we swapped, we never saw each other. If we got a babysitter, it got expensive to train very quickly. Now that the kids are older, they are both very busy with their own activities. Our solution has been to simply pick different races. 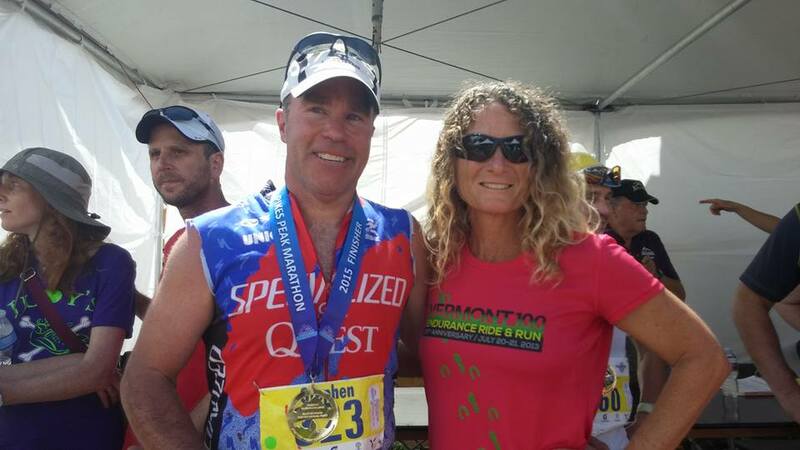 These last several years, I told Steve that the Peak was his to train for and complete. This year, the Bryce 100 was my big goal. I told him that his training would come first for the summer and I did my best to make sure that happened. This was his year to follow his big dream of doing the double. I won’t go into all of the details of his training, except to say that I am very proud of my husband’s dedication. He works long hours and we traveled to sea level at a time when he should have been getting in his peak mileage. But, he did the best he could with what time he had to get his training in. On Sunday, I dropped him off at the start before heading out for my own run. The girls and I headed down to the race finish about an hour before we expected to see him. I checked the weather and everything looked fine, but when we got down to Manitou Springs, it started to pour. Nevertheless, there is something incredibly special about being at the finish line of Pikes Peak Marathons. All marathon finish lines are a fun place to be, but this race is special. Seeing people really dig deep at the end of a very long and grueling day is pretty amazing. Whether it is a flat-lander who is finishing for the first time, or one of the multitudes of local friends who are running for their 10th time, each finish is exciting and special to witness. My throat still hurts today from screaming for everyone. Having a blast despite the pouring rain. My friend, Tracey, was up on top of the Peak and she sent photos of Steve from up high. We waited at the finish line until we saw him come running in. Unfortunately, I had water in my phone at that point and could not get a picture until a little later. At the finish. So proud of my doubler! Though he has run the marathon nearly an hour faster than he did this past Sunday, I could not be more proud of happy for my husband. I have loved watching him fulfill a long-term goal and tough it out through the training and the two days of difficult racing. In the days leading up to this past weekend, I think I was more excited for him than I had been for my own races this year. The best part of loving someone is sharing in their joys and successes. I am ecstatic that I got to be a part of his weekend and witness him crossing the finish line of a goal a long time in coming. Finally, congratulations to every single person who toed the starting line and/or crossed the finish line this weekend. It is such an amazing experience to share in everyone’s success. There are few places more rewarding than the finish line of race, whether I am running or spectating. Thank you Pikes Peak. Until next year! 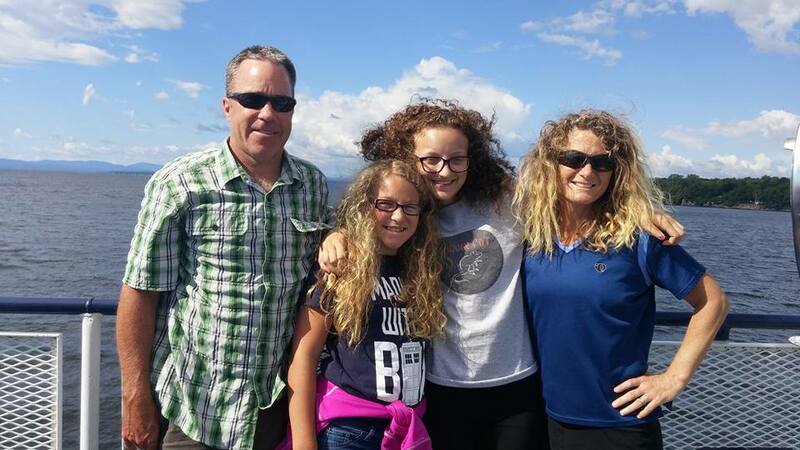 Our family spent the last two weeks in upstate NY visiting our relatives. Last year, I felt almost desperate to get there shortly after completing chemotherapy. At that point in time, I still was not feeling completely confident about my future and I had a strong need to see and touch my family. 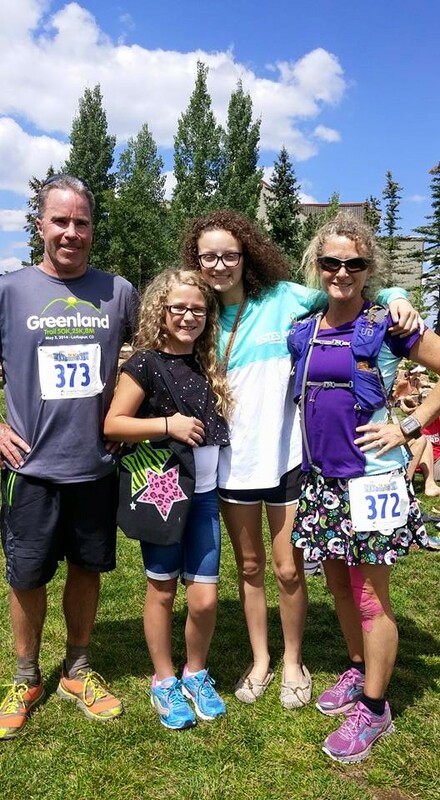 This year, still feeling strong and healthy following my recent 100 mile race, I looked forward to seeing my family not out of desperation, but out of the simple desire to see the people I love. We had a wonderful time relaxing, getting away from the stresses of our daily lives, and reconnecting with our families and friends. Today is my two month anniversary from having completed the Bryce 100. Since the race, I have had plenty of people tell me that I no longer have to do ultras anymore. However, a funny thing has happened since Bryce. I seemed to have remembered how much I love running and racing. In the lead up to Bryce, I kept telling everyone I knew that I would never run another 100. I meant it with complete sincerity. I was tired and worried. I was afraid that some nagging pains I was experiencing would become serious injuries. I thought that maybe I had not put in enough miles in training. I was concerned that perhaps my heart was not completely into finishing 100 miles. All of those worries ended up being completely unfounded. Instead, while I was out on the course, I remembered how much I just love to compete. 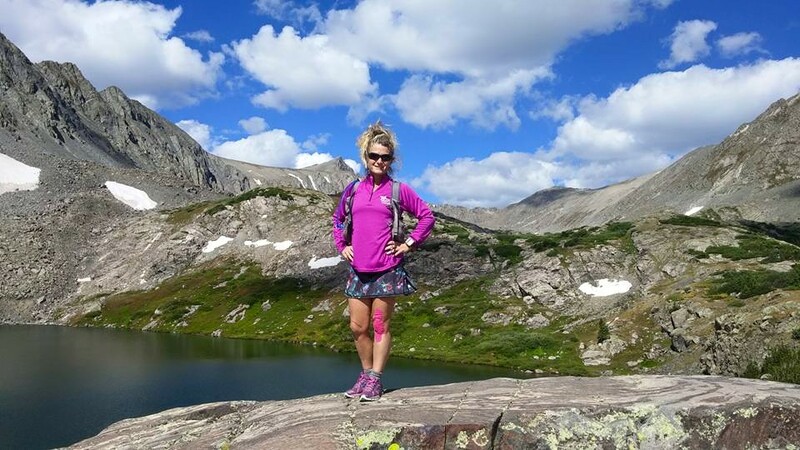 I love to run, but I had forgotten how much I love the thrill of hunting down other runners, and of pushing myself to see what I am actually capable of accomplishing. I have never been an elite runner. I have no idea what that experience is like. But as a slightly better than average runner, I still get incredibly fired up over testing my limits. I love pushing myself as hard as I can to see how my body and mind will respond. It makes me feel completely alive. 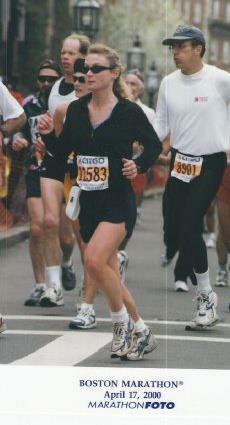 I have run many races since I started running in 1998. I remember the thrill of crossing the finish line at my first marathon. I could not wait to do it all over again, and so I ran my second marathon just seven weeks later. I remember the first time I ran a 5k and a 10k at an all out effort. I was not sure if I could sustain the pace without passing out or throwing up, but I did and I was so proud of myself for giving everything I had. I remember the excitement of running the Boston Marathon, which to this day is the only big city marathon I have ever competed in. I remember the joy of finishing my first ultra, a 50k. I remember the apprehension leading up to my first 50 mile race, and then the elation as I crossed the finish line. 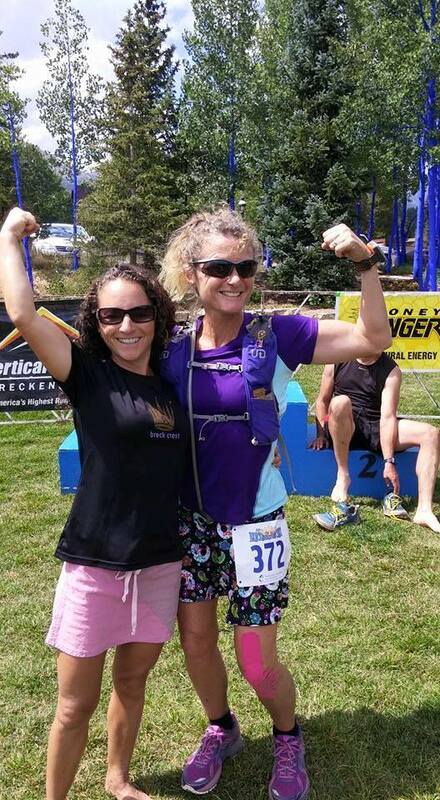 I remember the incredible pride I felt after finishing my first 100 mile race, as I experienced the payoff of months and months of hard work and dedication. This year, I returned to road marathons in Lincoln, Nebraska. I had not run a road marathon since 2007, and as I ran through crowds of people, I remembered exactly why I fell in love with marathons so many years ago. I returned to 100s this year, in Bryce, and my love affair with trails and ultras was reignited. But racing is never easy. On numerous occasions, I have engaged in an internal battle with myself. There have been several races where I have wondered if I would be able to finish what I had started. During one trail race that had gone poorly almost from the start, I sat in a mud bank and debated about whether I could go on. I decided that I could. Nothing was broken, and I was not in physical danger. I was just having a bad day. I am tremendously proud of those race finishes that I really had to fight for. Every distance I have chosen to run over the course of my lifetime has proven to be a challenge in a very different way. Every race has been hard and painful and wonderful and beautiful all at the same time. I have never regretted having shown up to run a race. Each experience has been unique and has taught me something new about myself. That is the beauty in running. Every outing provides a new challenge. Each distance is hard in its own way. No two racing experiences are alike. Just thinking about facing those difficulties gives me a jolt of mental excitement. I love it all: the competition, the challenge, chasing down other runners, and trying to fight off those who are attempting to beat me. Perhaps most of all, I love battling against my own demons. When I finished Vermont, I thought I had officially closed the book on running 100s. Then I got cancer. It became an important part of my psychological recovery to push those boundaries again.I am still so happy about my experience at the Bryce 100. Part of me wondered if my experience at Vermont was a fluke. My second 100 mile finish made it all feel more legitimate in some way. More importantly, my time at Bryce reminded me how much I enjoy the whole race experience. In the lead up to Bryce, I often felt tired and I had some nagging aches and pains. I think I was not yet 100% following my battle with pancreatic cancer. I hope I have finally officially turned the corner on the road to a full comeback. More often than not these days, I am excited to go out and run. That feeling was often lacking a few months ago. Like all long-term love affairs, feelings will wax and wane over the years. The secret is to learn to be patient and weather the difficult times. I am thankful that I have never given up over the times that running was less fun. These days, whether I am running up in the mountains or am pushing for a long flat steady-state run, I have rediscovered the fun and joy. I have three completely different races coming up in the next three months and I am very excited for each of them. Beyond that, I am really looking forward to finding out what new adventure the 100 mile lottery gods have in store for me in 2016.